To properly reflect the vitality and spirituality of the holy site of Makkah means deving into the very heart and soul of the Muslim world. The deeply-held beliefs of those who take to the road as pilgrims can be reflected and enhanced by the architecture, spaces, art and culture which surround them on arrival. 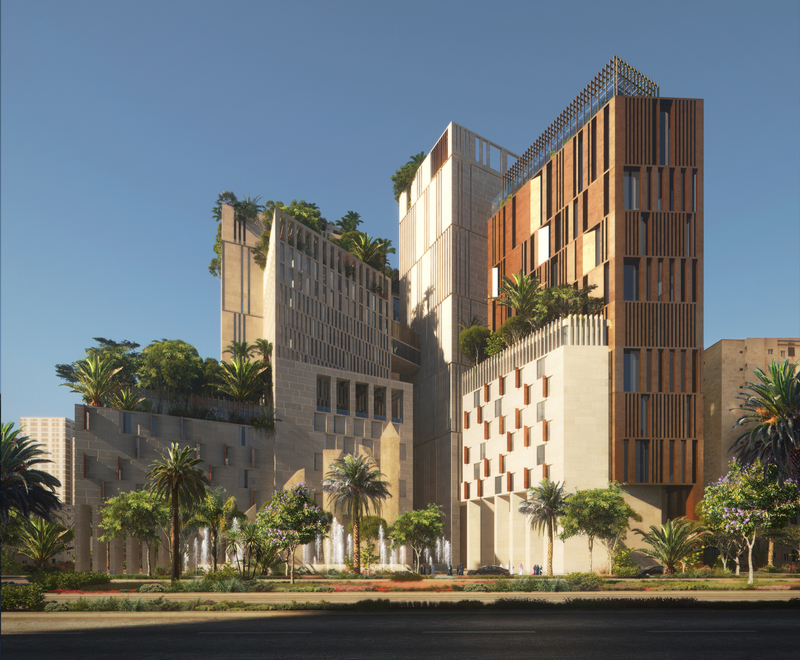 Interpreting the spirituality of visitors to Islam’s holiest site, and recreating it in a physical form, is the inspiration for The Pilgrims Oasis, a hotel and residential complex destination set to enhance a devotional journey. Containing accommodation, retail areas, recreational facilities and a mosque, the buildings emerge seamlessly around a series of plazas, courtyards and avenues, all drawn from the tradtions of the city of Makkah and the wider Arab design vernacular. Thoroughfares are orientated so that sightlines converge on the Ka’ba, providing constant inspiration and realisation of place for those visiting. The Pilgrims Oasis provide a seemless cross-over between past, present and future – encapsulating the experiences, hopes and dreams of the pilgrims for whom it will provide a place of community and shelter. Shaded walkways open up to form squares allowing for informal interaction between people as they come to be used as event spaces, with the development as a whole merging tranquility and serenity with discovery and exploration. More than two million people visit Makkah annually, with the figure projected to soar, as they participate in the once in a lifetime journey of faith called The Hajj, and the development is designed to give then a place to stay which reflects the purity of their beliefs. 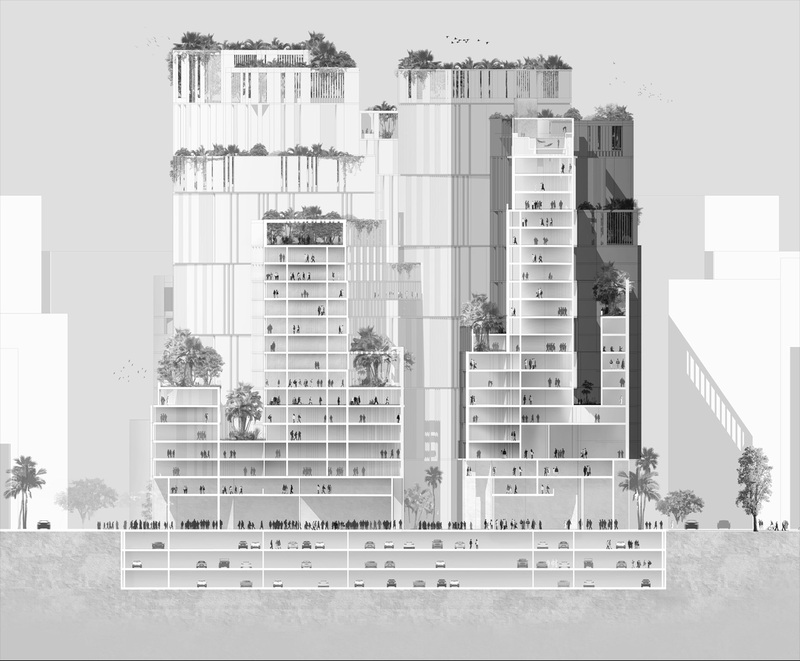 Previous ideas to accommodate pilgrims, and those who work to cater for their needs, have created a mix of high-rise towers and high-density housing – resulting in an urban landscape without any real theme or context, all surrounded by mountains which restrict outward growth. But The Pilgrims Oasis is set to break this mixed-up mold by showing how architecture can play a huge part in creating an inspiring space, by designing themed buildings which allow for personal and collective experiences for those who live, work or visit. Created by a process of understanding context, analysing options and understanding design solutions, in harmony with the physical environment and incorporating the best of the culture of Saudi Arabia – especially Makkah – the ‘community within a city’ will reflect the very heart of Islam. The design approach to this master plan is from inside out. Accepting it is a dense project, our process started with carving open spaces out of the dense whole. 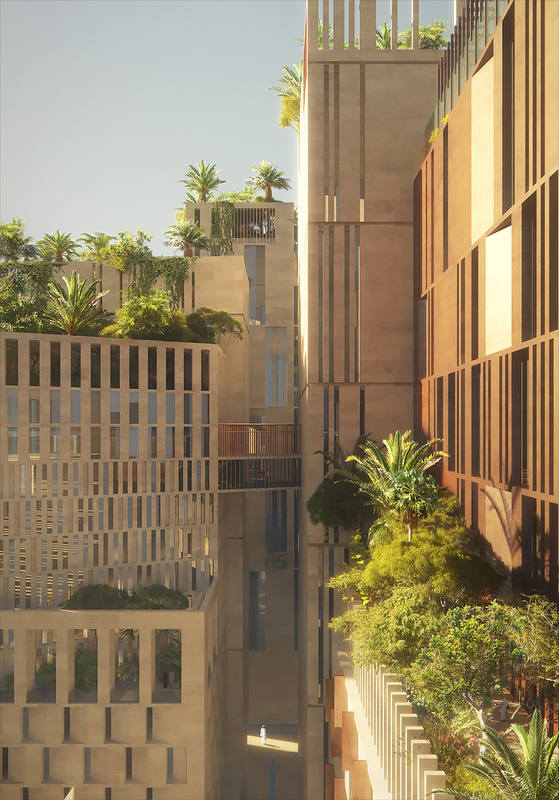 The buildings emerge around a series of public plazas,courtyards and avenues inspired by the traditional makkah and Arab city fabric and architecture. The result is a contemporary interpretation of Makkah culture and heritage,yet one that extends Makkah identity to fit a modern and contemporary world and context. Our solution is a seamless cross-over between past, present and future. 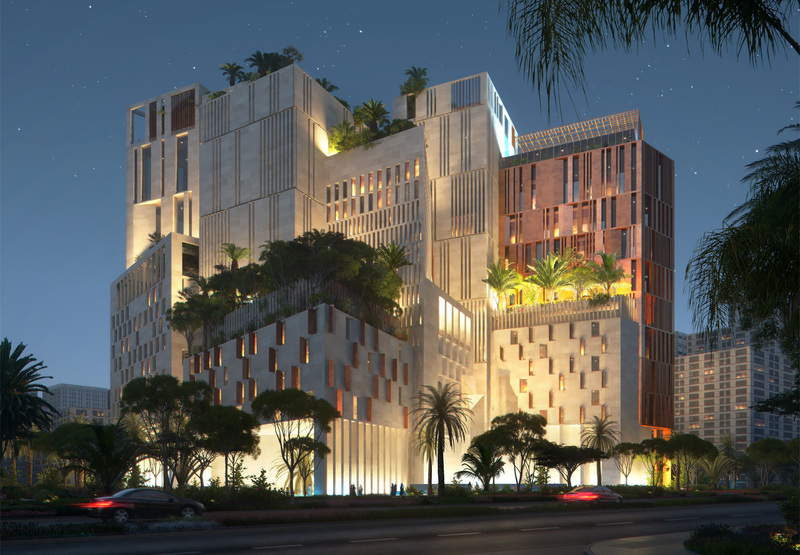 A compelling mixed-use development which will provide a contemporary proposition while reflecting the prevailing Makkah character,topography and climate. Created by a process of understanding context, analysing options and understanding design solutions, in harmony with the physical environment and incorporating the best.